I love old bridges. I don’t know why but I will go out of my way to travel on them. This bridge no longer knows the feeling of passing cars. It has been replaced by the new road on which I stood as I created this image. However, it is able to be walked upon (although I’m likely breaking some law to do it). It is haunting and a bit scarey wondering about those that traveled it in the past while considering whether it will still hold me as I walk across the wood slats and observe those no longer there. Bridges connect us – from one side to the other. But in this world, they eventually must be retired as rust and the elements consume them. Everything in this world passes away. It reminds me that God knows this reality and He knows we cannot create a bridge that does not pass away nor can we create a tower, stairway or bridge to heaven. For that to occur, would require material not of this world and it would have to overcome the decay and death of this world. And that is why He sent his son from heaven – because nothing of this world would do. And that is why Jesus had to die and be raised again – because the bridge He created had to span the chasm between death and life. 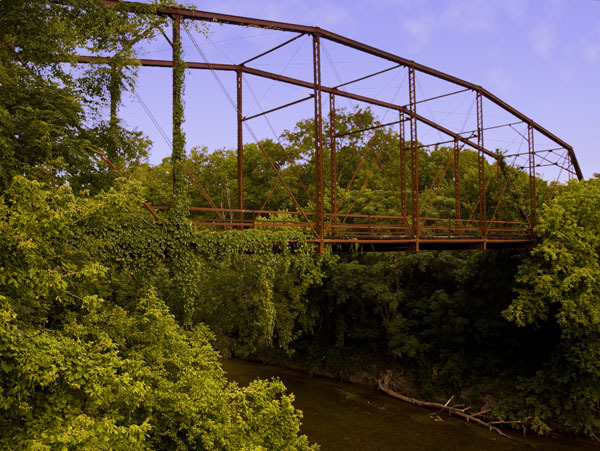 I love this old bridge, formed with the wood of the cross, that connected me with my heavenly Father and all of his creations forever.